A UV reactive keyring that get darker with higher UV exposure. Sun safety came sometimes be easy to forget. 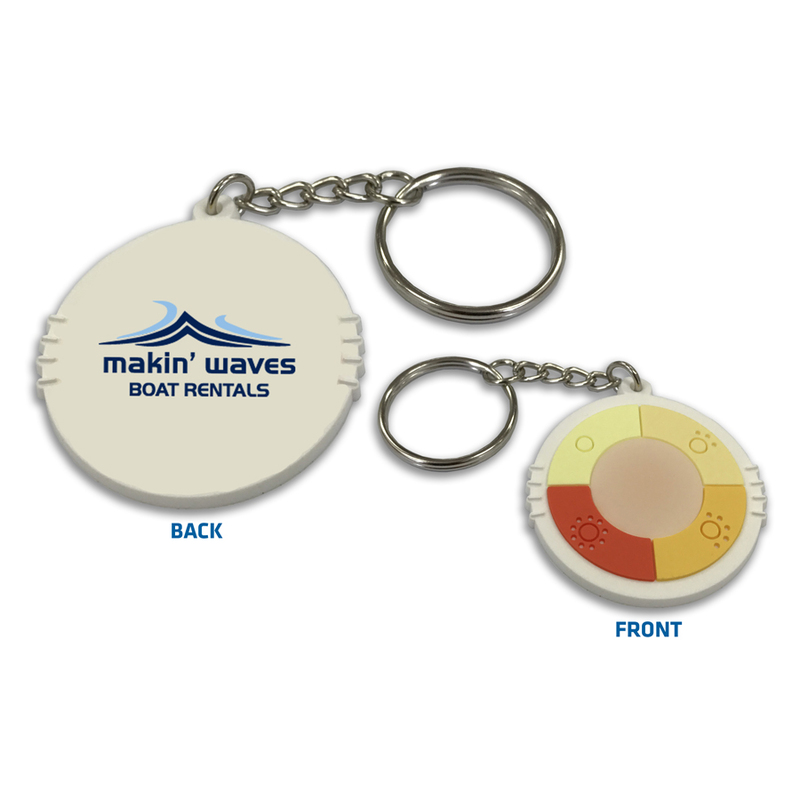 Fortunately with these handy keyrings understanding when UV exposure is high is easy! 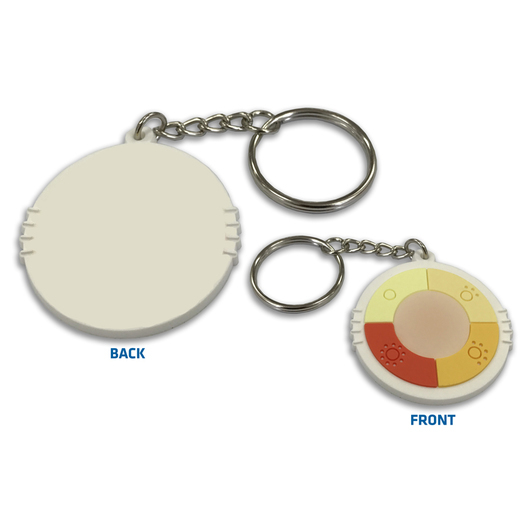 This UV reactive keyring will change colour and get darker with higher UV exposure. Great for everyone the frequents the outdoors, especially those near the water. Please note, this is not intended for professional use.